The massive Commonwealth Air Training Plan Hangar is situated amid a prairie landscape of flat open fields along Highway 10, one kilometre north of Highway 1 (Trans Canada Highway). Located on the east side of Brandon’s municipal airport, the double land-plane structure was built in 1941, at a cost of about $1 million. The facility opened officially on 19 July 1941. Two relief fields, one north of Chater and the other a few miles east of Brandon, provided alternate places for aircraft to land if they could not do so at the main runways here. 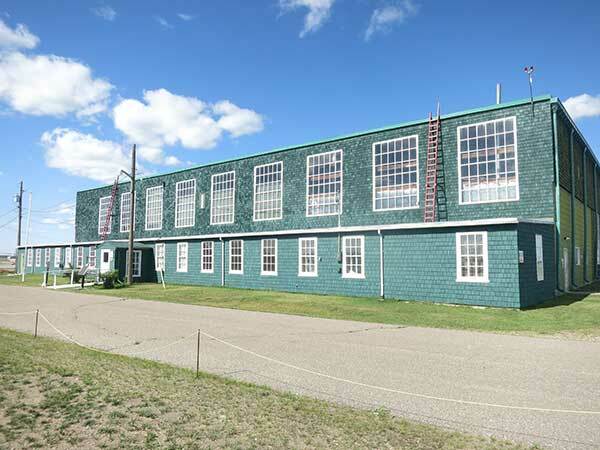 The Commonwealth Air Training Plan (CATP) Hangar, an intact utilitarian wood-frame complex, is a tangible and rare structural reminder of one of Canada’s major contributions to the allied military effort during the Second World War. The CATP Hangar is one of the few that remain out of 700 hangar-type structures erected for the plan from standardized designs. Built by Bird Construction Company of Winnipeg as one of five hangars serving No. 12 Service Flying Training School at Brandon, the facility housed Cessna Crane and Anson aircraft for pilot training. The hangar is now occupied by the Commonwealth Air Training Plan Museum, Canada’s only museum dedicated solely to preserving the Plan’s history and artifacts, including vintage aircraft and equipment. 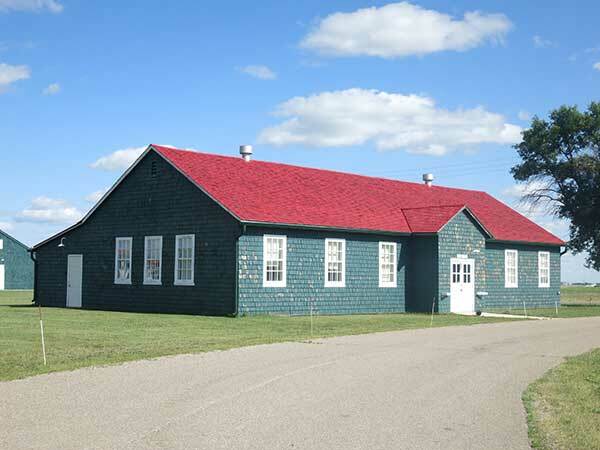 It is designated by the Manitoba government as one of its Signature Museums. In the 2000s, the museum participated in the Manitoba Prairie Icons Program. 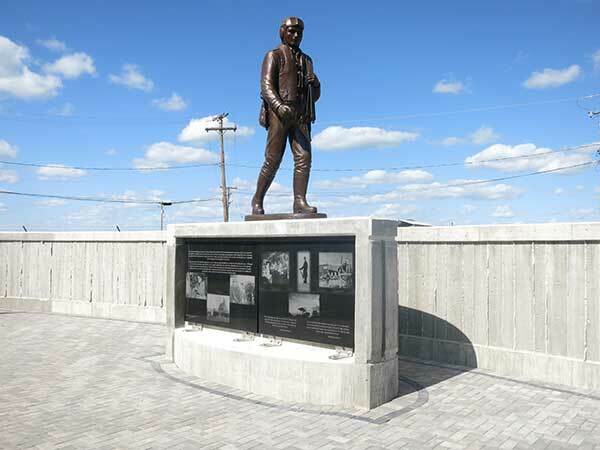 Commemorative plaques on the museum grounds were placed there by the Manitoba Heritage Council and the Historic Sites and Monuments Board of Canada. 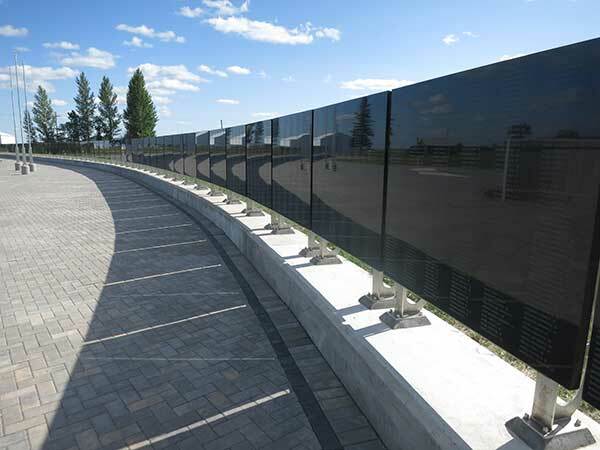 A Memorial Wall, unveiled on 10 September 2014, pays tribute to those who were killed during military service, in Canada and elsewhere. “Gordon to Command Brandon Air School,” Winnipeg Free Press, 9 July 1940, page 15. “Brandon builds big centres for airmen and militiamen,” Winnipeg Free Press, 26 September 1940, page 3. “Brandon Air School will open July 19,” Winnipeg Free Press, 2 July 1941, page 10. “Brandon Air School to open July 19,” Winnipeg Free Press, 11 July 1941, page 4. “The official opening ceremony of the Brandon Service Flying Training School [...],” Winnipeg Free Press, 16 July 1941, page 3. “Brandon Air School opening postponed,” Winnipeg Free Press, 16 June 1941, page 18. “Plans for opening Brandon Air School Saturday, near ready,” Winnipeg Free Press, 17 July 1941, page 11. “Moncrieff gets command post at Brandon,” Winnipeg Free Press, 23 January 1942, page 2. “King approves eleven awards to Air Force,” Winnipeg Free Press, 27 October 1942, page 7. “Michelson to head Brandon Air School,” Winnipeg Free Press, 2 September 1943, page 15. “Malcolmson given Brandon Command,” Winnipeg Free Press, 31 July 1944, page 3. “Godfrey to assume No. 12 S.F.T.S. duties,” Winnipeg Free Press, 29 November 1944, page 7. “Seven Air Stations in Manitoba to hold final wings parades,” Winnipeg Free Press, 27 March 1945, page 3. Manitoba Heritage Council Minute, 9 March 2002. This page was prepared by Gordon Goldsborough, Nathan Kramer, Christian Cassidy, and Tim Worth.